Michael Dorland, Professor, School of Journalism & Communication; Fellow of the Max and Tessie Zelikovitz Center in Jewish Culture. BA Hons. (History and Political Science, McGill 1969); MA (Soviet and Chinese History, McGill, 1971), PhD (Communication, Concordia 1991). Grew up in Montreal. Also studied in London and Paris. Has held research fellowships at the Université du Québec, and at Duke University in the US. Taught at McGill, UQAM, and Concordia before coming to Carleton in 1992. In between Phd’s, worked as a journalist and editor in newspapers and magazines. Award winning film critic in Montreal. Published a novel, The Double-Cross Circuit in 1978. Recent Research: My most recent book, Cadaverland: The Limits of Medical Knowledge and Historical Memory (2009), dealt with 60 years of Holocaust survivor research in five countries. Research for the book was funded primarily by the Canadian Institutes of Health Research. Current Research: I am currently very interested in the implications for teaching and scholarship of the statistically based concepts of Big Data. Some scholars have proposed the idea of “the Digital Humanities”: others prefer the idea of “big data.” Either way it’s a major paradigm shift. I am exploring aspects of this with respect to digital visualization. I am exploring this with respect to its implication for Communication Studies. So Close to the States: The Emergence of Canadian Feature Film Policy, University of Toronto Press, 1998, 198 pp. 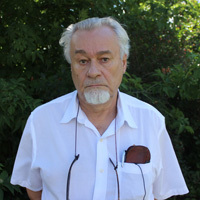 He also edited the leading collection on Canada’s cultural industries, as well as several other collections in film history. He has written many articles, most recently on the language of the Holocaust, on genocide and film, and across divers aspects of cultural studies.